Ah, Life. It passes. Years go by. You get a job. 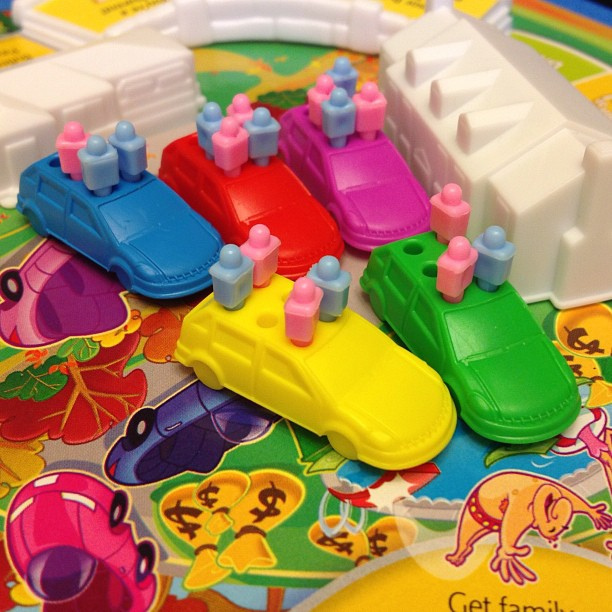 You have pink daughters and blue sons which you insert in a teeny tiny plastic car. Beep beep! Get out of my way! Oh wait, I meant to talk about “life” not the GAME of Life! Silly me! Life, like the Game of Life, also passes. Years go by. You get a job. You might have flesh-colored children who you might put in a car that will probably NOT be plastic. Or maybe you don’t have a car because you live in a big city and you go on the subway instead. Or maybe you don’t have kids. So many choices! Years have gone by in life and today it is January 1, 2015. Still surprised I don’t live in a mansion in the air with a flying car. Oh well, I’ll survive. But it got me thinking of the past. Remember in the 1980s when Prince’s song “1999” came out and we were all SUPER excited for when it would be 1999? And then 1999 actually happened and we got scared all out computers would crash and that we’d all die? I remember standing in my backyard sneaking a cigarette on December 31, 1999 and staring at the sky and thinking, this could be it. Goodbye, life! You’ve been good. And then, of course, the clock ticked 12:00 AM, January 1, 2000 and NOTHING HAPPENED except that we all danced to “1999.” Life, again! Yes, even though 1999 has come and gone we still listen to that song on New Year’s Eve and all I could think of is, what WOULD we be doing if it were 1999? And since this is a blog about TV, let’s talk about what we’d be watching. 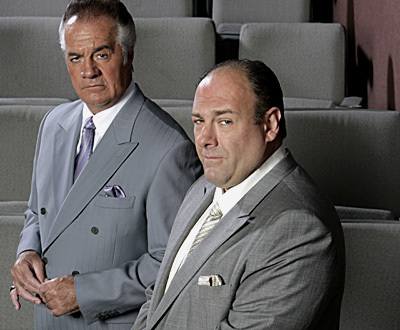 The Sopranos wrapped up it’s iconic first season on April 4, 1999. I didn’t watch it back then because my college roommate that year watched The X-Files which was on at the same time and these were the horrible dark days before the DVR. However, because I hated missing out on a pop culture moment I was super psyched for Season 2, which was premiering on January 16, 2000. So on 12/31/1999, I’d have been SO EXCITED to finally get a chance to watch the show in just two weeks and change. Clarissa is all grown up! 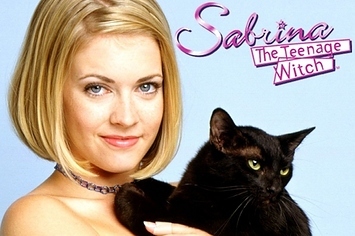 Sabrina the Teenage Witch was one of those shows that was on foreveeeeeer even though no one you knew actually watched it. Except for me and my friends in the fall of 1999 when we did a semester abroad in Galway, Ireland. 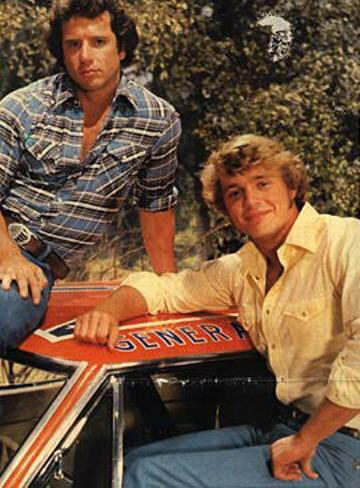 We’d park our hungover asses on our couch and watch a marathon of American TV on Sunday afternoons which also included 7th Heaven (don’t judge) and The Dukes of Hazzard. So Sabrina would be a SUPER appropriate choice for partying/watching TV like it’s 1999 because we’d be so hungover the next day and it would be just like old times. And then I’d dream about Luke and Bo. Yes that is Seth Rogen. 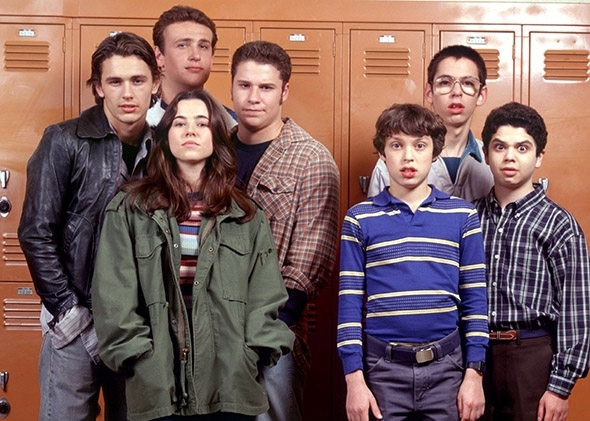 One of my biggest sources of shame is that I did not watch cult hit Freaks and Geeks when it originally aired in the 1999-2000 season. See, I was studying abroad (see above) and Ireland was 6 months behind on everything and this was the day before you could watch shows on line so I was beep-out-of-luck. Years later I caught all of the episodes on IFC. An absolutely amazing show created by Judd Apatow and Paul Feig which launched the careers of Seth Rogen, Jason Segel, James Franco, and more. Every single actor in the picture above has gone on to have a successful career in front or behind the camera. That Judd Apatow, he can really spot talent. So Prince, I WILL party like it’s 1999 and see if any of these shows are On Demand. Yahoo! This entry was posted in Trip Down Memory Lane and tagged 1999, 7th Heaven, Freaks and Geeks, Prince, Sabrina the Teenage Witch, The Dukes of Hazzard, The Sopranos. Bookmark the permalink.